Goliath Labs’ Thermoloid fat burner’s main claim to fame is the sheer number of ingredients packed into one near-1300 mg serving size. There are 16 in all. But does packing a ton of ingredients into Thermoloid really make it a better product? In my experience, all this does is dilute the effectiveness of the better ingredients, and create a fat burner in search of an identity. Is it a thermogenic? A carb blocker? A fat blocker? A cortisol inhibitor? Who knows? 1. Fat Burning Complex: A proprietary blend of 882 mg of ingredients including green tea (standardized for 45% ECGC), caffeine, yerba mate, guarana, citrus aurantium (6% synephrine), l-carnitine, white willow bark, alpha lipoic acid, guggulsterones and bioperine. Of course, since this is a proprietary blend, we don’t know exactly how much of each ingredient is included in the formula. That makes it nearly impossible to accurately assess for efficacy. However, since ingredients are listed in descending order (i.e., the ingredients present in the greatest amounts are listed first), we can safely assume that the bulk of the formula consists of green tea (standardized for ECGC) and caffeine (from caffeine, yerba mate, and guarana). And that’s a good thing — there’s solid evidence that green tea (see the full review for verification and journal references) is a worthwhile fat burner. Caffeine has been used in fat burners almost since the time when dinosaurs roamed the earth, and there’s good reason for that — evidence shows it too has benefits as a thermogenic (see Am J Clin Nutr. 1989 Jan;49(1):44-50, Am J Clin Nutr. 1980 May;33(5):989-97). Even better, evidence suggests the combination of green tea and caffeine offers even greater fat burning benefits (Obes Res. 2005 Jul; 13(7): 1195-204). What about the other ingredients in the Fat Burning Complex? Well, in doses of between 100-300mg, alpha lipoic acid is a great blood sugar moderator. L-Carnitine’s effect on weight loss has not been conclusively demonstrated — and it certainly won’t have any effect in this formula since it is not present in the multi-gram dosage require to generate any sort of response. i. White kidney bean: thought to interfere with the action of the enzyme amylase, which is required for the proper digestion of carbohydrates. 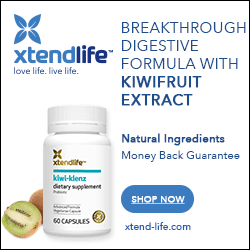 In theory, white kidney bean extract prevents amylase from converting carbohydrates into sugar, thus effectively “blocking” a portion of those carbohydrate calories from inevitably being converted into fat and being deposited on your waistline. The other problem is that most quality white kidney bean / carb blocker products have recommended dosages of between 500-1,000 mg of extract — prior to each and every meal. That clearly rules out the minimal amount of white kidney bean extract in this formula from having much effect. ii. Chitosan: derived from the shells of crustaceans, chitosan has been marketed in the supplement industry as a “fat blocker” for several years. Alas, clinical evidence has not been kind to chitosan, with most studies showing it has either none, or only minimal effects on weight loss. And not surprisingly, the studies were performed with MUCH more of the active ingredient included in the Thermoloid compilation. (see Int J Obes Relat Metab Disord. 2004 Sep;28(9):1149-56, Cochrane Database Syst Rev. 2005 Jul 20;(3):CD00389, Singapore Med J. 2001 Jan;42(1):6-102, J Am Coll Nutr. 2006 Oct;25(5):389-94). iii. CLA (conjugated linoleic acid): a non essential fatty acid, there’s some clinical evidence that CLA is an effect fat burner. Unfortunately, that’s at much higher dosages than present in Thermoloid — around 3 grams / daily (3,000 mg) seems to be the optimal amount (click here for the full CLA review). iv. Evodiamine: a compound from a Chinese fruit that some claim burns fat by increasing the body’s production of heat, as well as reducing the body’s ability to store fat. The claims are supposedly “scientifically” proven. The problem is, they haven’t been scientifically proven in humans. There have been some promising “in vitro” studies and some done on rodents, but the jury is still out on whether this product has positive weight loss effect for humans (see this PubMed extract for more details). v. Hoodia gordonii (reviewed here): One of the most hyped appetite suppressants on the Net, there’s little real evidence that hoodia is good for anything. In this compilation, it’s only label dressing — the only positive feedback I’ve ever had for hoodia products were from people taking double to triple the dosage of a high quality hoodia product (like Hoodoba Pure). When it comes right down to it, Thermoloid is a decent product. Not because it contains 16 ingredients, and certainly not because it contains a “Fat/Carb Blocking And Appetite Suppressing Blend” — something which adds absolutely no value to this product. It is so for two reasons. First, it is reasonably priced — I found it at BodyBuilding.com for just under $17. Second, the foundation of the product is solid. It’s based on the green tea / caffeine combination for which there is some decent clinical evidence for weight loss. Relatively inexpensive and decent? Sure! Contains green tea extact, caffeine and chromium.